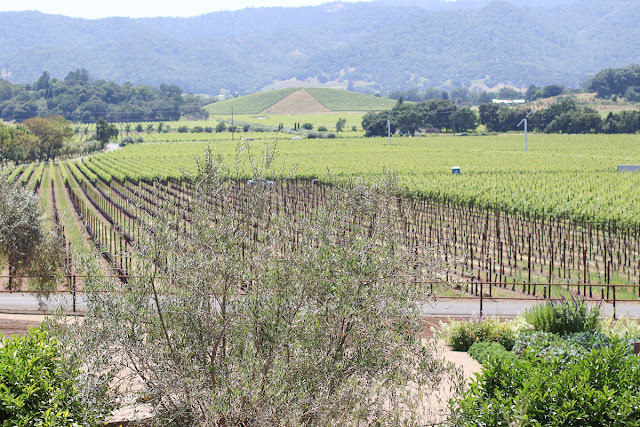 Napa, a place that has been on my bucket list for the last couple of years. In my younger years, I admit that I was never really a big wine drinker, but over the last few years it has been my drink of choice 9 times out of 10. Since I have started getting more curious about learning more about wine and it has always been something that was interesting to me, Napa has been a place I have been wanting to visit. 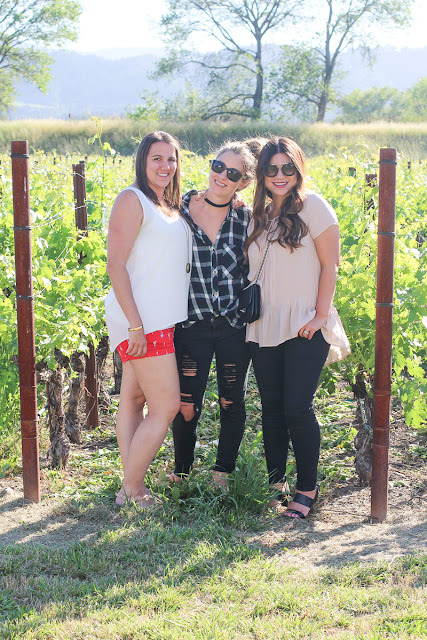 Being a newbie to the wine scene, I knew when I made my first Napa trip that I wanted to go with someone more experienced. 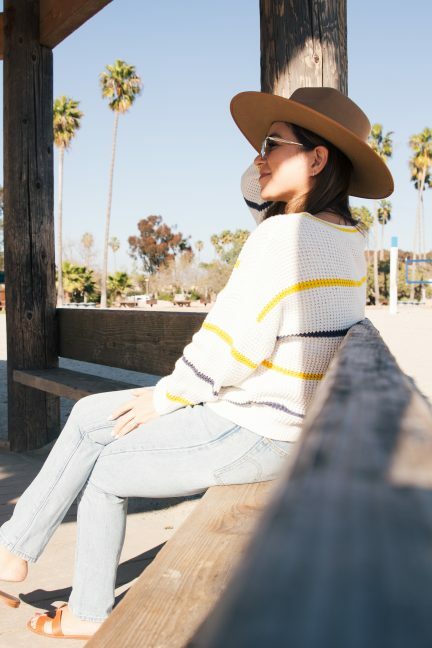 A few months ago, one of my close Mommy friends, Bri (#momsquad), had suggested planning a ‘Moms Only’ trip and from the minute she suggested it, I was 100% on board! My friend Bri is a wine expert, literally, and since I have known her and discovered her deep knowledge, I can’t even begin to tell you the amount of times I have come to her house and she has given me great new wines to try, how many times I have texted and called her from the grocery store while I was picking my selection for guests, and how often I make her give me lists of wines to try. She recently launched her blog, Bri’s Glass of Wine, and saying I am obsessed is an understatement!! If you follow her on Instagram, here, you have probably already started gaining knowledge just from her posts, and if you love those shares already, you will definitely want to check out her blog because it is full of so much great information for the newbie winos and even those experienced lovers. Needless to say, planning a trip to Napa with Bri, and also our friend Janell, of J. Aitken Photo (who’s beautiful photography work you have seen a few times on my blog, like here and here) was a dream. Both gals not only are Napa veterans, but Bri is the wine expert, and Janell is the foodie, and so with them tag teaming during planning and picking the best wineries and restaurants to try, I knew it was going to be a fabulous trip! Our first stop after arriving into town was White Rock Vineyards. 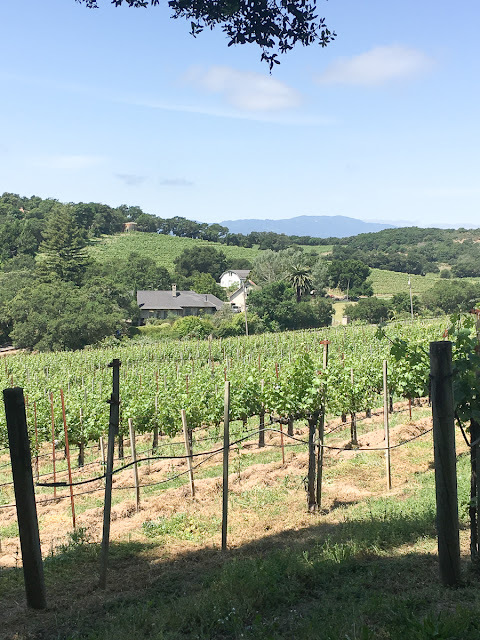 Bri is a club member of this winery, and it is a smaller, family run winery which I am always a sucker for, so I was so excited to tour their estate. 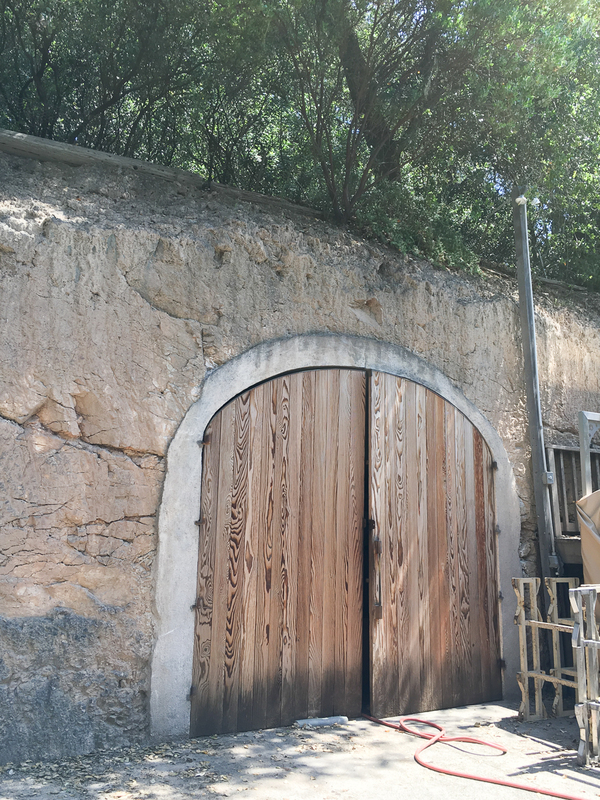 Nothing about their winery disappointed; I can’t tell you enough how much I loved the history of their property, dating all the way back to the 1800’s. 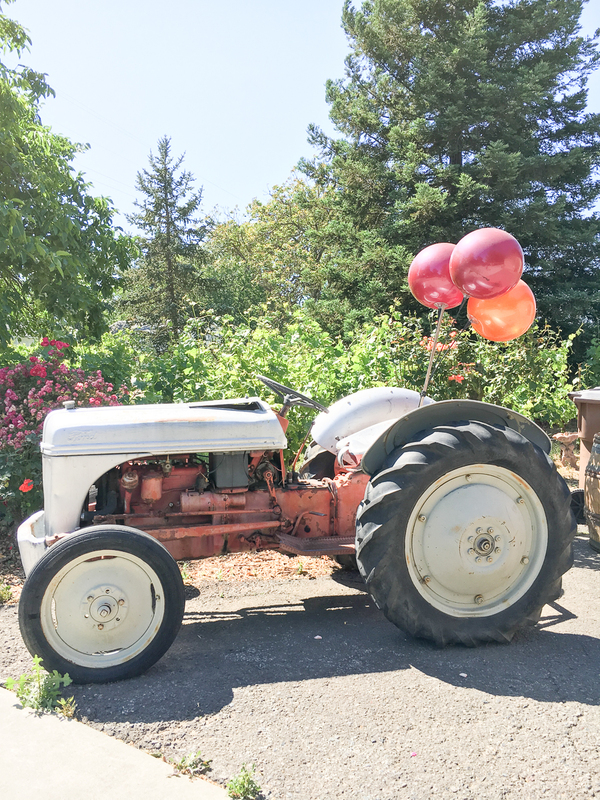 We were fortunate enough to get a private tour from the owner, Henri, and he was everything I could have dreamed… so passionate about his craft and work, and full of so many cool stories; it was easy to pin this by the end of the weekend as one of my favorites. 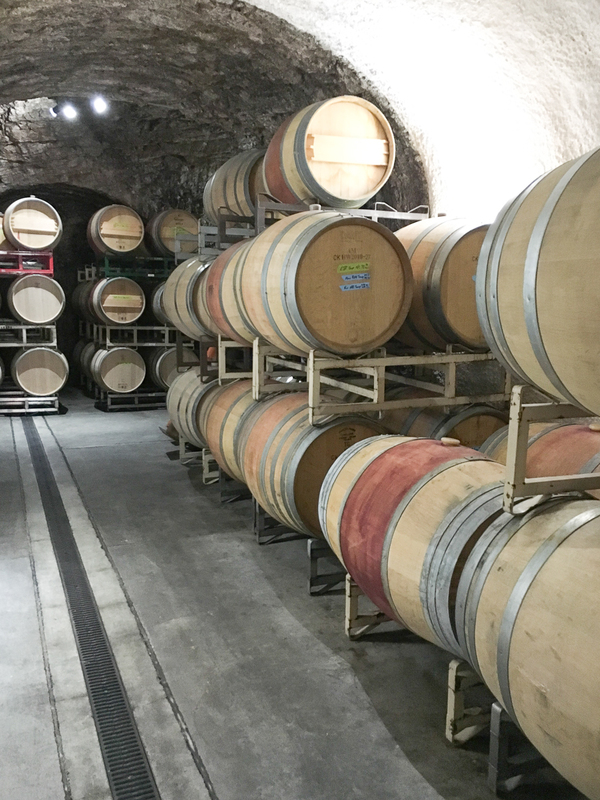 The wine was equally as great as the tour, and the tasting room is right in the middle of the caves that they stack the wines in. I also loved that it is a family run business, and it is now Henri’s sons, the second generation wine growers, who make and create their wine. 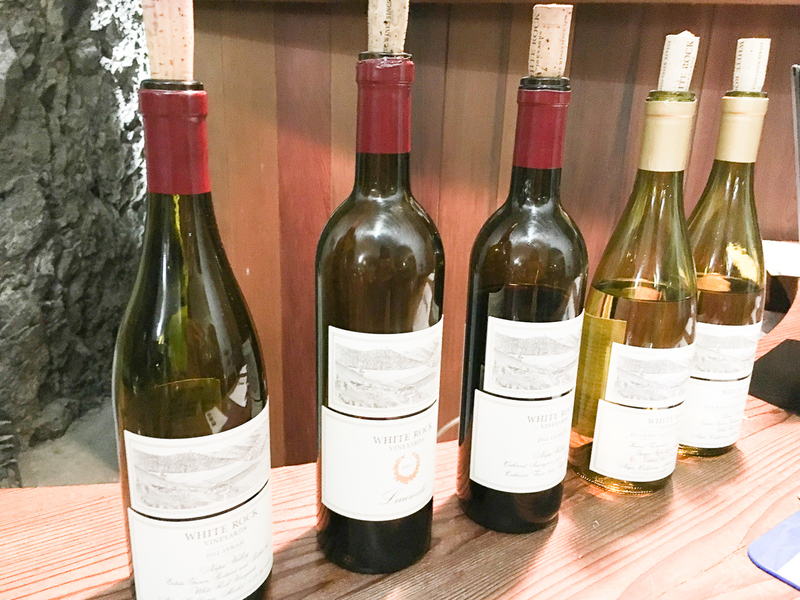 After our tasting at White Rock, we headed over to Stags Leap Wine Cellars. 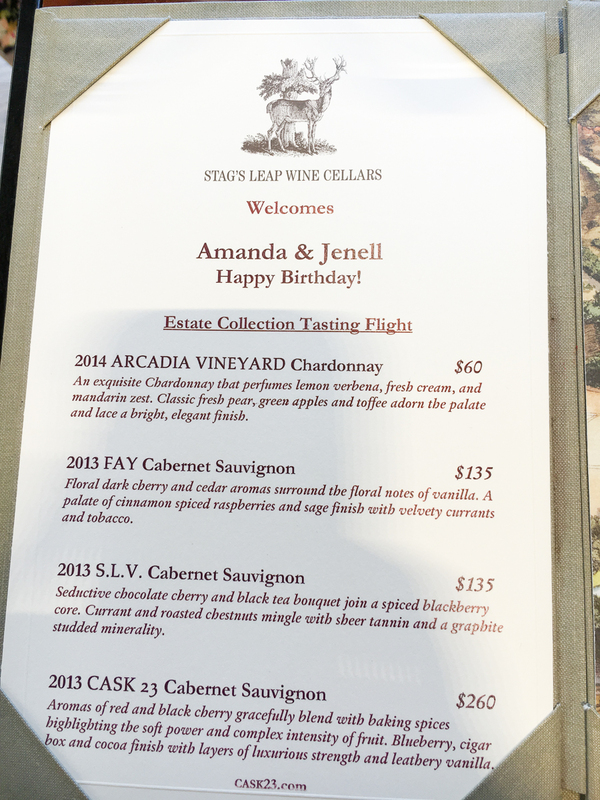 Bri is also a member of their wine club and raved about how wonderful their tastings are. All I can say is wow…. 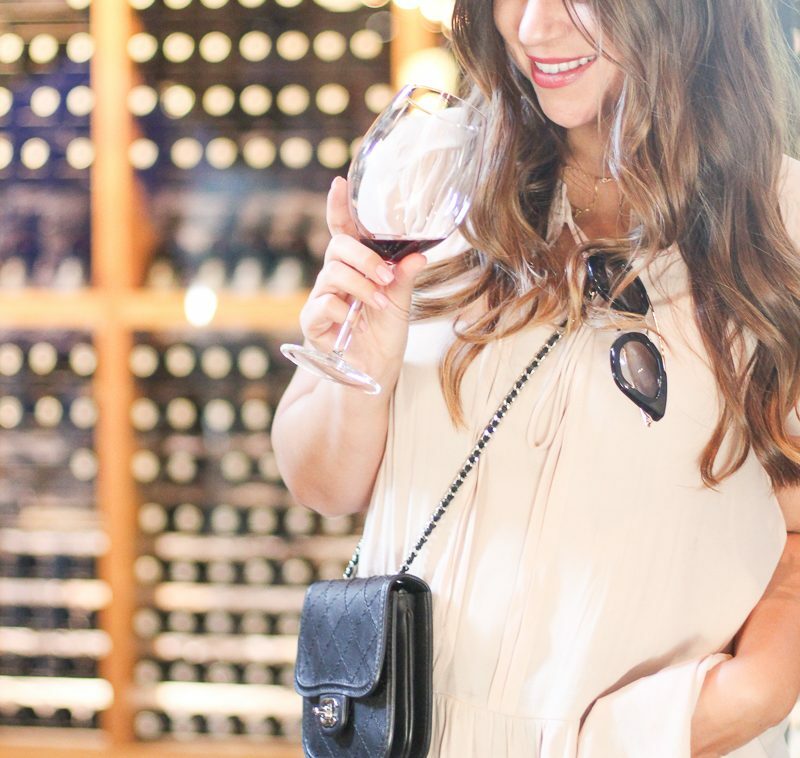 hands down, one of the most beautiful tasting rooms! 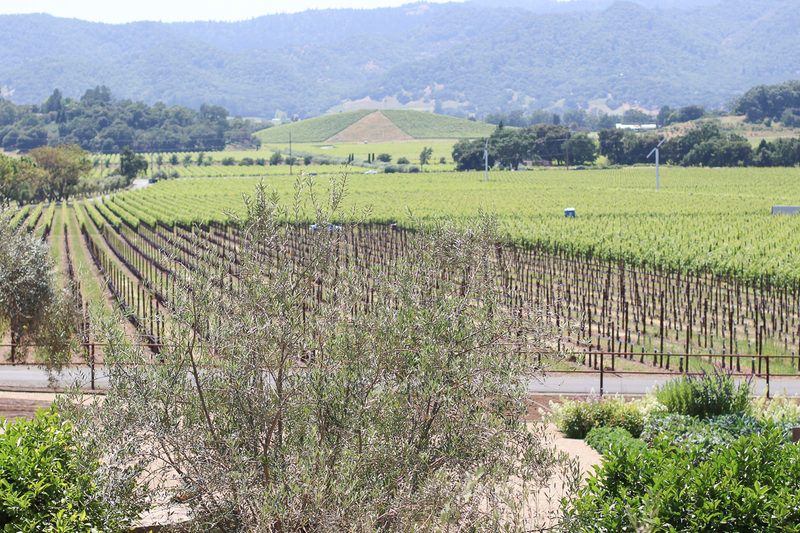 With a gorgeous view of the vineyards and hills, I was in awe. 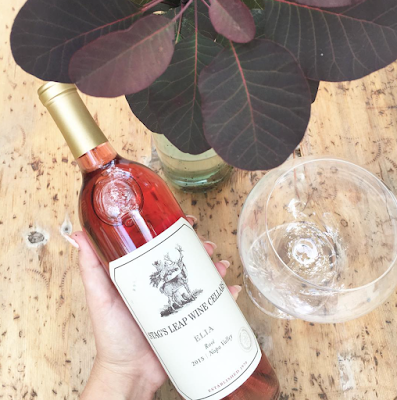 Our first tasting was of their Rose, and from the first sip, I knew I had to have it, which made it my very first ‘big’ purchase of the weekend! After some fun times spent at Stags Leap, it was on to our next destination, Regusci Winery. 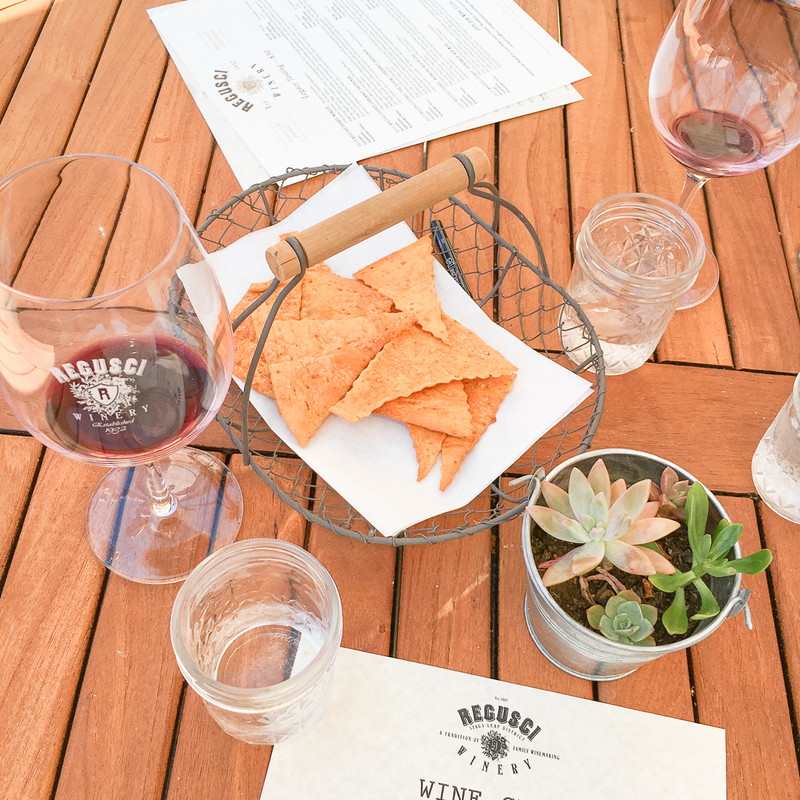 What was great about this vineyard is that you sit on their gorge patio and do your tasting outside. The weather is so perfect this time of year, and I can’t even begin to tell you how relaxing it was. Gorgeous views, beautiful weather, and a great wine tasting… hello, heaven! 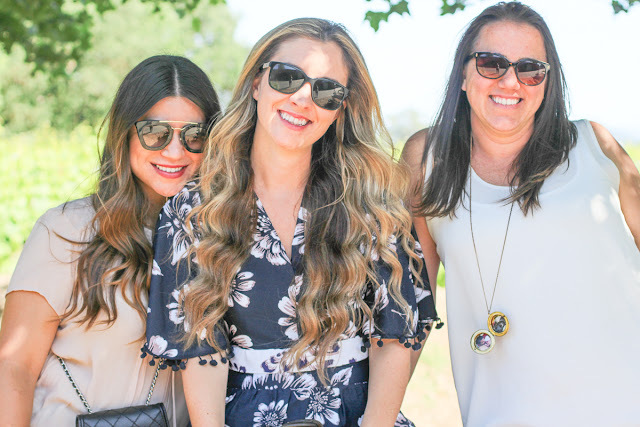 I sure do love these fellow mamas… shout out to our little guys for bringing us together! 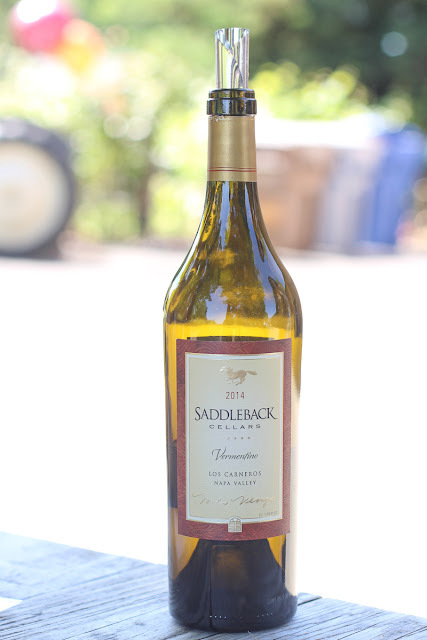 Up next, Saddelback Cellars, a true country style estate. 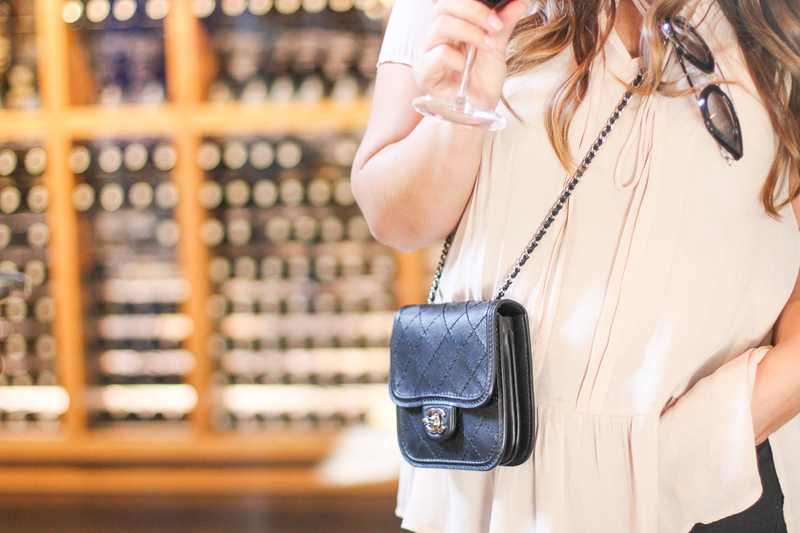 I absolutely loved the barn yard feel, and loved the wine even more. 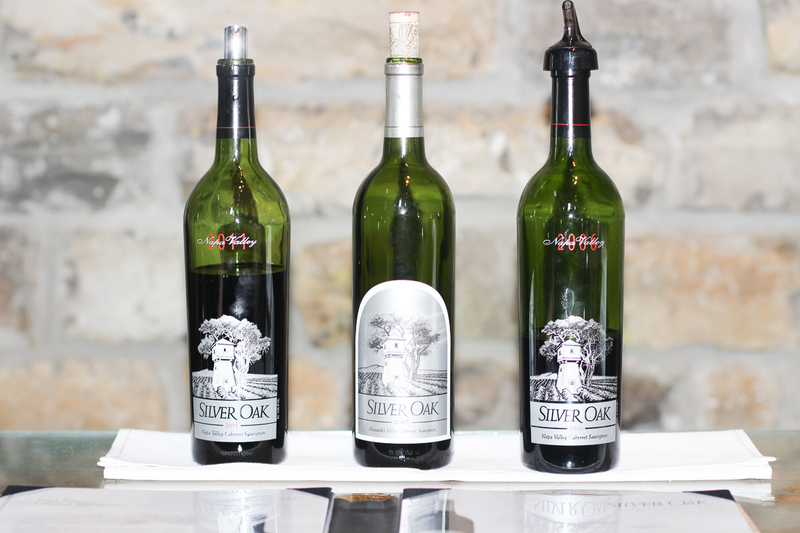 Bri is a huge fan of the oak flavored wines, and if you love that similar taste, you would love their collection. She has definitely pulled me over and made me a fan of the taste as well. The last stop for the wine posse was Silver Oak. This is another vineyard Bri and her family are members of. 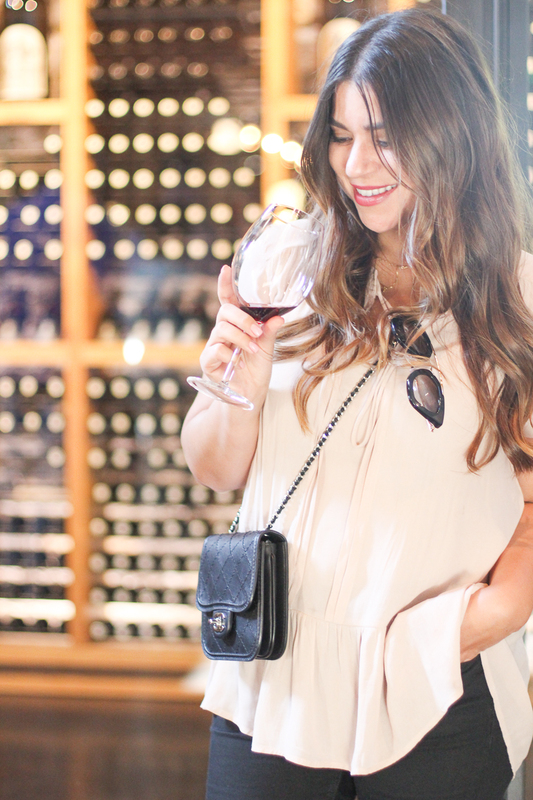 We had so much fun at our tasting here and were feeling good from the entire day, haha! 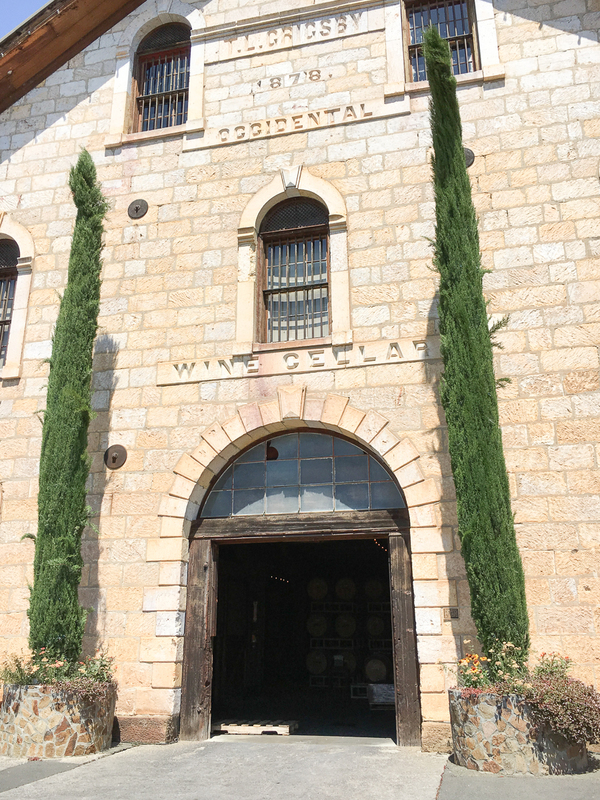 I couldn’t get over the beauty of their Oak bar and cellar room, and their estate is simply breathtaking. My favorite: 2011 Cabernet Sauvignon… I noticed the 2011 year was my favorite at a lot of the wineries, so I guess that was my bottle year! The fun I had with these two was beyond memorable, to say the least. Our kiddos brought us together, but our friendship has grown so much deeper than that, and for that I am thankful. 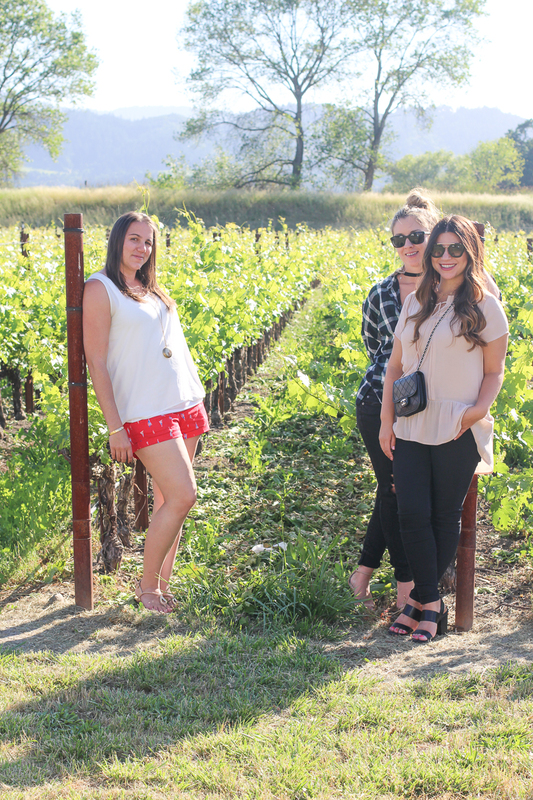 They were such amazing Napa tour guides, and they truly made the trip so special which I am thankful for. If you are wanting more details of our trip, more information on each winery we visited, as well as tips and recommendations on their wine selections and pairings, please check out my friend Bri’s blog, Bri’s Glass of Wine. 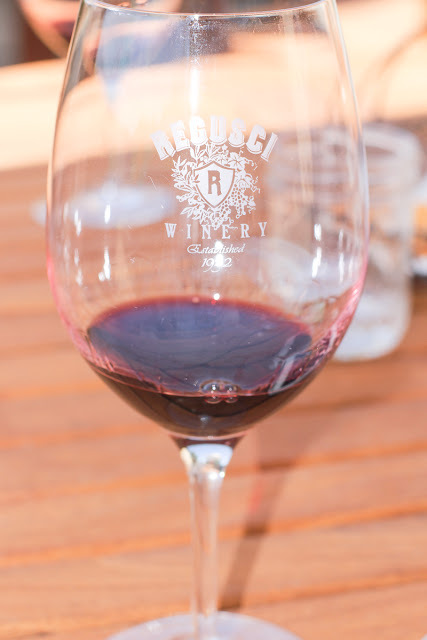 Today she shared details from our visit to Regusci, and over the next couple of weeks she will be sharing information about each of the wineries we visited! 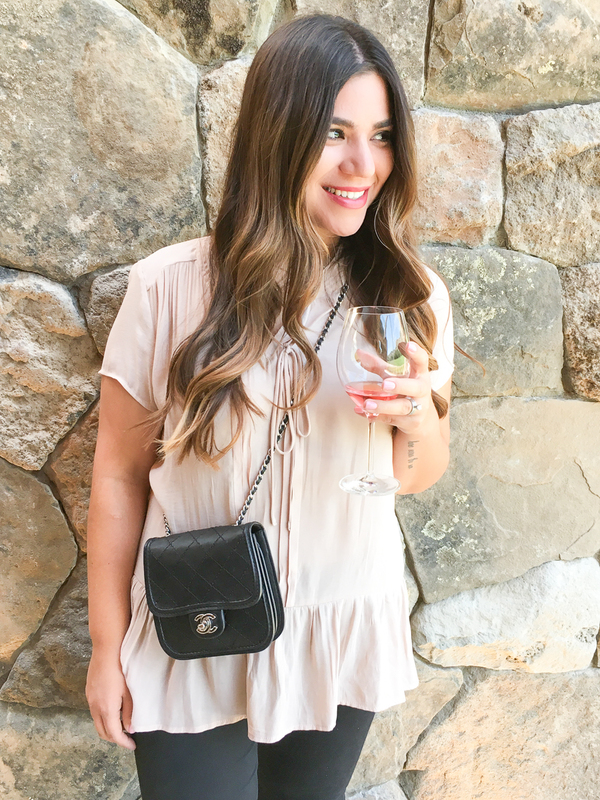 I have already learned so much more about wines I want to try, tips, suggestions and pairings and I am so excited for everything else Bri will be sharing! Next week I will share a list of places we visited on the second day and my favorites from each of the wineries, plus tips for how to plan your perfect tour of the famous wine country, Napa! 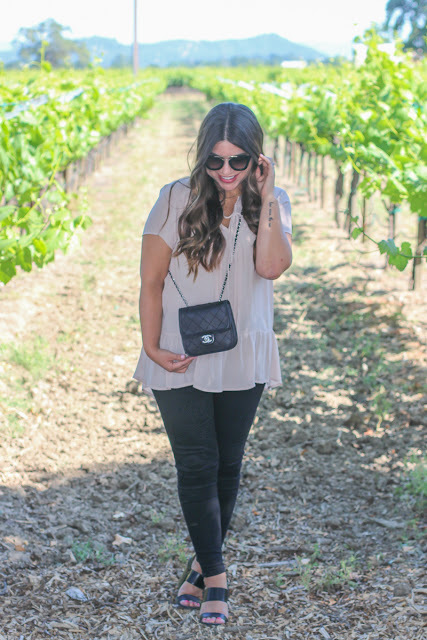 If you are planning a trip to Napa and have any questions or information you would like me to share, I would love to have your feedback! It can be hard to plan a trip if you haven’t been before, so let me know if you would like any more information.